It’s important to periodically question whether the business benefits derived from commercial virtualization products justify the licensing expenses. Too many organizations discover (painfully) that they are paying for tools and software their teams do not use, or for which they are receiving minimal benefit. Are there alternatives? If so, what are they? 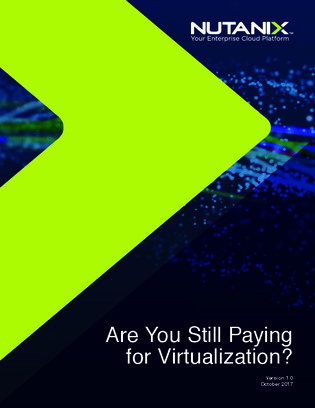 Access this white paper to learn about a license-free hypervisor that delivers virtualization capabilities needed by the most demanding apps. You’ll see how, using this hypervisor, you can not only eliminate the direct costs associated with hypervisor licensing, but also drive down soft costs and reduce the OpEx associated with virtualization in your organization.